سواءً كنت مسافراً بغرض السياحة أو العمل، ذا هوتيل، كيرنز هو خيار عظيم للإقامة خلال زيارتك للمدينة. إن موقعه الجيد الذي يبعد 0.5 Km فقط عن مركز المدينة يساعد النزلاء على الاستمتاع بمعالم المدينة ونشاطاتها. يوفر العقار بفضل موقعة الجيد وصولاً سهلاً إلى أهم معالم المدينة.
. إن الخدمات التي يقدمها ذا هوتيل، كيرنز تضمن للنزلاء إقامة مريحة. يمكن لضيوف الفندق الاستمتاع بالميزات التالية على أرض الفندق: واي فاي مجاني في جميع الغرف, خدمة سيارات الأجرة, خدمة حجز التذاكر, مكتب الاستقبال على مدار الساعة, تسجيل وصول/خروج سريع. استمتع بوسائل الراحة الراقية في الغرف أثناء إقامتك هنا. بعض الغرف تتضمن تلفزيون بشاشة مسطحة, اتصال لاسلكي بالإنترنت, اتصال لاسلكي بشبكة الإنترنت (مجاني), غرف لغير المدخنين, مكيف هواء لمساعدتك على استعادة طاقتك بعد يوم طويل. سواء كنت من محبي الرياضة أو كنت تتطلع لتفريغ عناء نهار صعب، ستجد خدمات ذات مستوى عالي بانتظارك كمثل مركز للياقة البدنية, حمام سباحة خارجي, سبا, حديقة. إن ذا هوتيل، كيرنز هو خيارك لخدمة الفنادق الراقية في المدينة. We were dissapointed that we were not advised that we had a booking for two rooms on the one night of which we were anaware ,As we would have cancelled one of them. However we were charged for the two rooms and refused a refund. Thank you for a lovely stay, stayed two nights. Good carpark + undercover carpark as well. Staff at reception on arrival was professional, not really friendly, but polite. The gentleman checking us out though was really nice and helpful. Room was nice and clean, nicer than i expected for the price actually. Bathtub and toilet were separate from sink, which was nice. Decent sized bathtub, good shower. Only downside to the room is the thin door. woke up to a screaming kid at 7am on the first morning. Other than that, quite happy with our stay. Good value for money. Will come back. Oh, and hotel is centrally located. 3-5 minutes walk to restaurants and esplanade. Great location, about 10 min walk to centre of cairns or lagoon. Room was fine and quite large after arriving from holiday in Japan. Never a fan of 2 beds pushed together to make a queen. Can be loud if like ya you like to sleep in a bit on holidays as many tourists come and go at all times and the outside tiles make the suitcases so loud and also those cleaning carts from 0700hrs. Overall good hotel at a good price. I use to stay at this hotel a lot. Unfortunately it seems to be under new management and really goes over the top for overseas visitors. I'm a North Queenslander from Townsville and feel that this is no longer a hotel for locals. 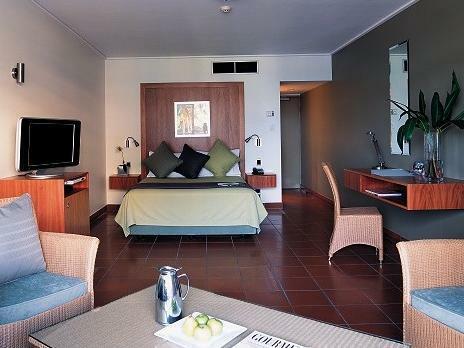 Booked “last minute” (the day before) on Agoda, the price was really great and the location is two minutes walk to the esplanade and five to main shopping precinct so is perfect. Comfy bed and nice upgrade to a room with a balcony looking towards the esplanade I would definitely stay here again and recommend the hotel to everyone! 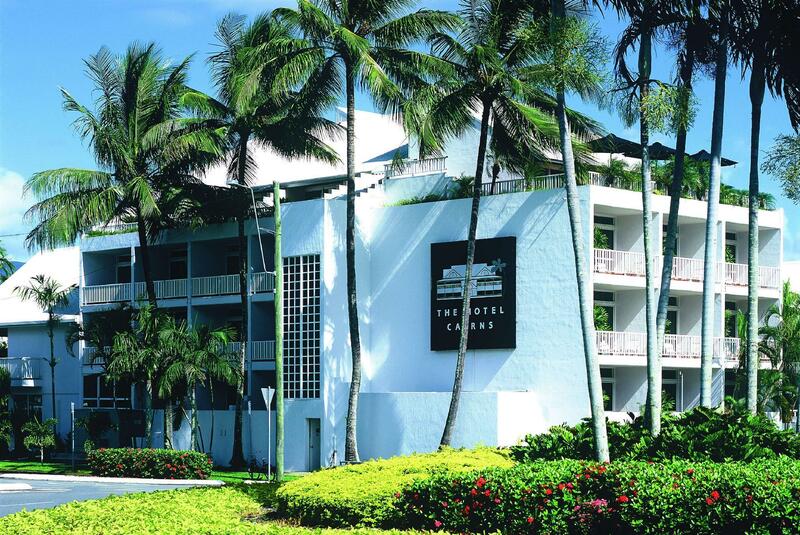 This affordable yet conveniently located hotel is a charming white louvered classic. 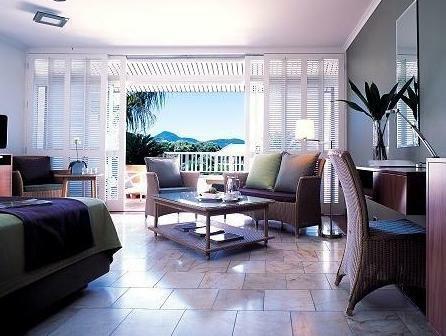 From the lipstick palms to the cool verandah and comfortable room, this hotel provided comfort with a tropical flair. The bath was a welcome addition too and parking was a breeze. We were in a city room. Small room, quite dark and found a long black hair in the bath on arrival. Our room was an older room that had a touch up to try to create a more modern feel. Lots of Asian tour groups stay here. For a one night stay it was OK, but I wouldn’t stay here for a long period of time. Small pool and a very average breakfast buffet. It is was a decent and clean place. But as a business traveller, I need to iron my clothes on the go. So to find an iron in the room but no ironing board prompted me to attend reception. At reception I was told they had removed the ironing boards because people were using them on the beds. OK, I thought, then why leave the iron in the room which is likely to lead a person to use the bed or a flat piece of furniture as an ironing board. The next piece of information was that I can use the iron and the ironing board in the laundry room. So off I went to gather my clothes and go to the laundry room. The iron there was cable to a wall (presumably to prevent it being stolen). However, the cable was too short to reach the sink to fill the steam iron. There were no filling cups to fill the iron with. Ever tried to iron a shirt without steam, it takes forever and doesn't do the job properly. I went to my room got the other iron, which I could fill and then used the ironing board. What a pain! Stayed 1 night after our cruise ended. Looked after our baggage prior to our check in... in the morning, so we were able to go on an excursion. The location was close to the restaurants and shops, it was nice to go for a short stroll for dinner. The bed was comfy and the room was larger then I expected with a balcony... in all yes I would stay again, maybe next time for a little bit longer. We enjoyed our one night at The Hotel Cairns. We were upgraded on arrival as it wasn't full, which everyone loves, and found the room/facilities to be clean, easy and comfortable, and the staff were lovely to deal with. Easy walk to everything we needed, eg. The Esplanade, cafes, live music. Thank you! Terrible. The internet did not work in room, hotel is a long walk from shopping area, and long walk from other restaurants. We complained so much about the internet not working that we were told to leave hotel. No refund. Do not stay here. We suggest Bay Village Hotel which is several blocks away as we had to book another hotel. Very good room internet there. My second stay here and cannot fault the value for money side of things. Great location and only a short walk to restaurants etc. 5 minutes from the airport too! Overall the rooms are comfy and spotlessly clean. Not the most modern hotel in Cairns but well worth a visit for a night or two. I'll be back. It was a breeze, I booked online so everything was paid for and there were no added costs, we only stayed one night but found the room clean and tidy, never saw many others, perhaps th lift is a little tired and slow, but the place has been up kept pretty well the and with the shutters on the windows it added a colonial flair. Would stay there again. I stay in Cairns when passing through for an early start at the airport. Took the cheapest room, and at well under $100 was excellent value. Very nice double bed room, ground floor, car parked immediately outside. Had the pool and spa to myself prior to closing for the night. Ate out and therefore did not try the restaurant, however, if it matches the standard I am sure it would also have been a good experience. Overall, a very good stay, great value for what I wanted, and happy to return. Did not eat at the Hotel. Stayed in the motel section. Unfortunately attention to detail was lacking, ie broken shower head, light not working in bathroom. However very quiet, decor pleasant. Disappointing to have two single beds pulled together to act as kingsize. As a local frequent visitor to Cairns considered the prIce on the high side. Would have to reconsider staying there again. The Hotel Cairns was great value for money. 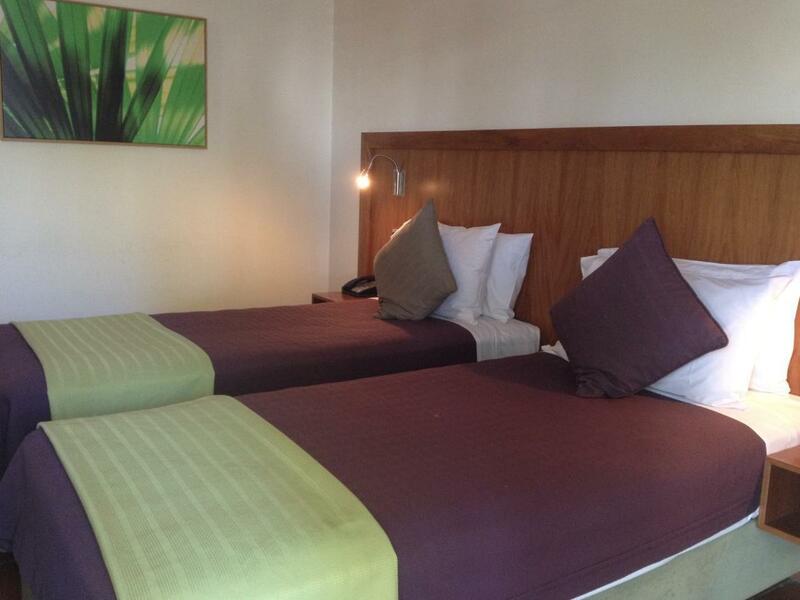 A clean and neat budget hotel close to the city centre. Room was well layed out and had everything we needed. Surprisingly one of the cheapest places we could find in Cairns. We had a wonderful stay, the staff were very friendly and helpful. The rooms are simply beautiful, a very relaxed topical feel. We had a divine breakfast all you could want and more. A great place to stay will definitely stay again. 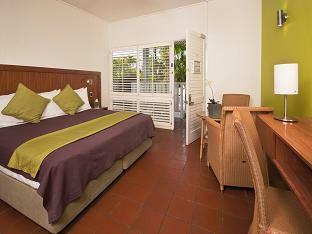 This hotel is located in an idyllic position with regard to accessing the main sights of Cairns. It is convenient and close to the main attractions and amenities. The room in which I stayed was clean and well maintained with lovely fresh linen and a supremely comfortable bed. Noise pollution was kept to a minimum thanks to heavy blinds covering the windows of the eastward facing rooms. The staff were friendly and amenable if help was requested. The pool is in a central location with regard to all the rooms and is well maintained. The management are lenient with regard to check-out time. All in all, my stay at the Cairns Hotel was enjoyable. My discounted Agoda rate of $100 per night was reasonably good value for money, with all factors considered. Great location across the road from the Aquarium. Rooms sound although bathroom a little tired. Good configuration with vanity outside of the shower area. A great bed but no extra blanket. Breakfast not extensive, a little lacking, okay nonetheless. A good price through Agoda. Off street parking. Worth looking at and I would consider again. The hotel is definitely not a 4 stars. Male receptionist by check in (probably the most unmotivated and unfriendly i have experienced) Female night audit really friendly. Basic Room consisting of a bed and a bathroom. Breakfast served only until 9am in the Chines restaurant next to it - nothing really you wanna eat as a european.